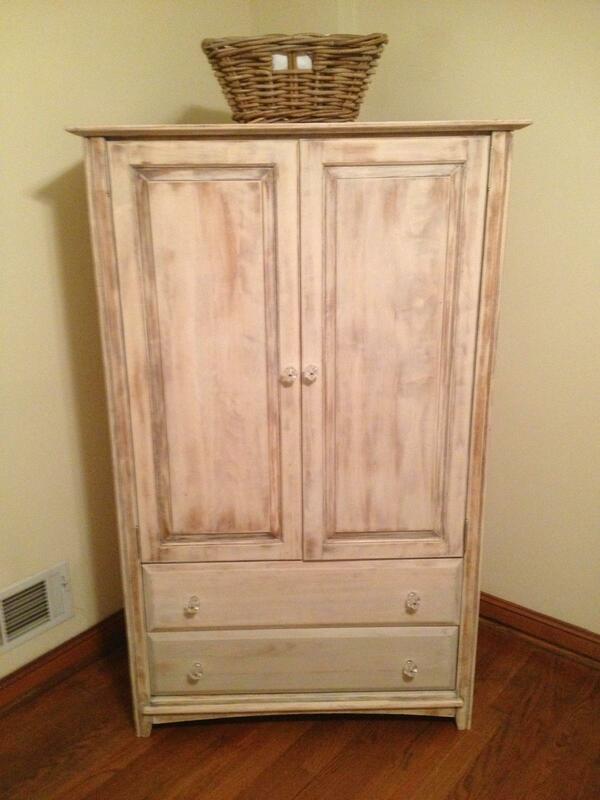 I just delivered some fantastic pieces of furniture that I have wanted to share with you since I started them. 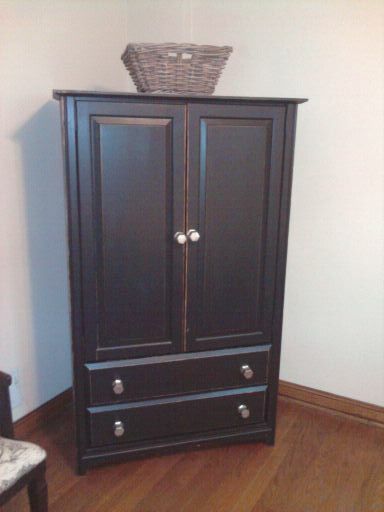 I got these two pieces of furniture that were covered in dark paint and the owner wanted the to be stained. 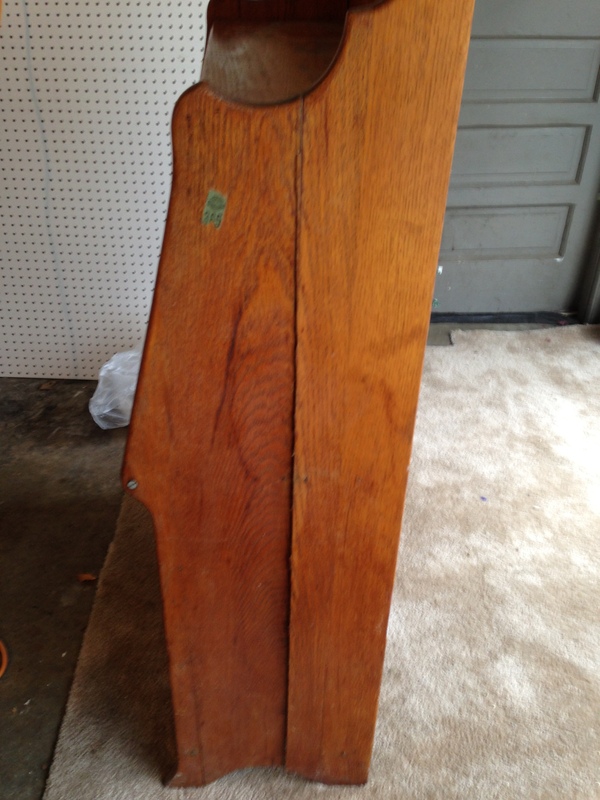 This was going to be a challenge, but nothing Columbus Furniture Revival can’t handle. 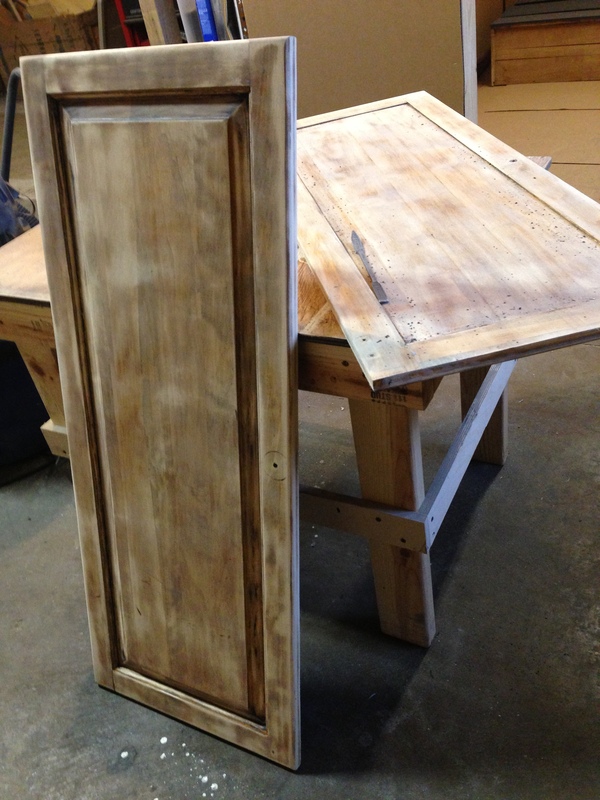 We knew there was real wood underneath, but because of the paint colors, this was going to take lots and lots of sandpaper. And so it began. 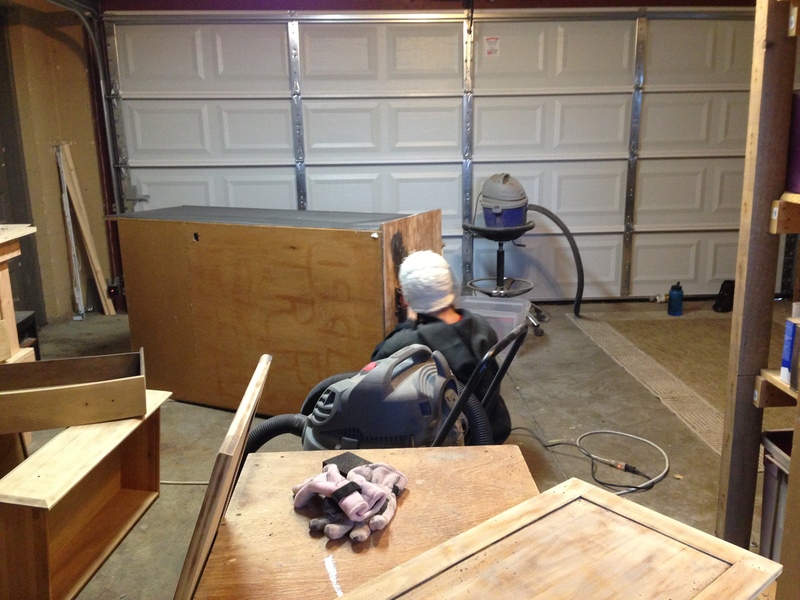 My friend Allison came over to join in the sanding fun! Then begins the fun!!! I love seeing the transformation. 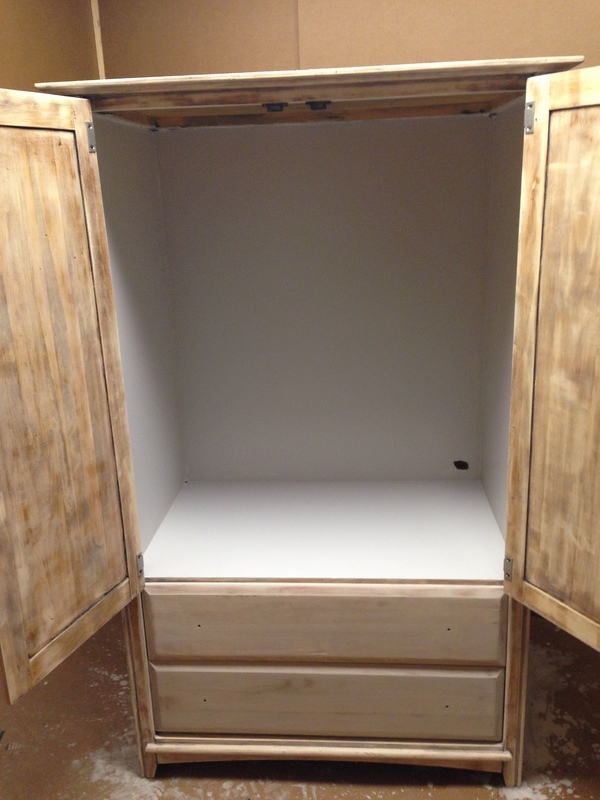 It took a couple of tries but we figured out the perfect stain. 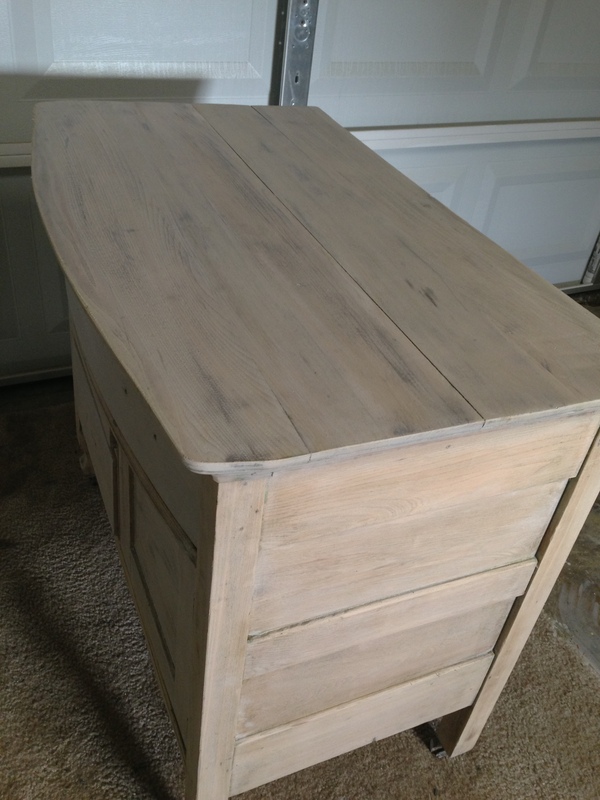 Bleached, but with a bit of grey undertones and lots of woodgrain visible. 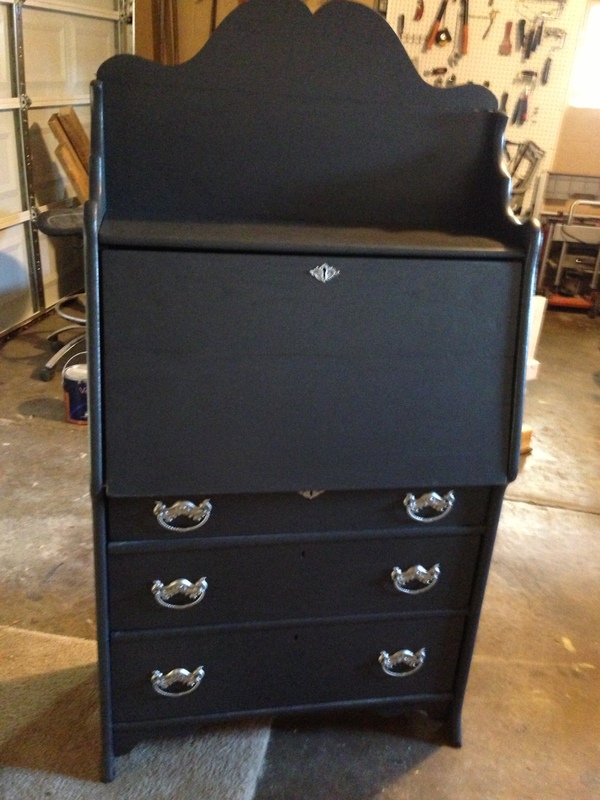 We painted the inside of the armoire because of the black paint, it would have been very difficult to remove the paint and stain the inside. 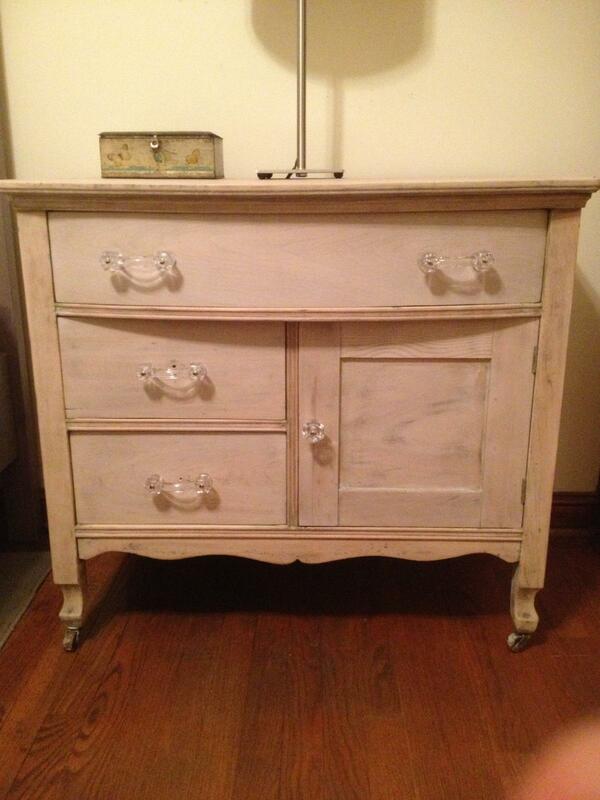 We used a light grey to match the stain. The hardware chosen was a glass knob. I think it adds to the look of these pieces and really makes them a set! What do you think? DON’T FORGET! We will be at the winter flea on February 2! I know I promised you some furniture, but we are waiting for some hardware to come in…In the meantime I wanted to share some more about Columbus Furniture Revival. I have always loved pick up trucks. I used to visit my uncle in Dallas and he had a red pick up truck that I begged to take rides in. When I got my license I got to drive a pick up and knew that at some point in my life, I needed to have one. My wish came true. About 8 months ago, Carl gave us the company’s pick up. 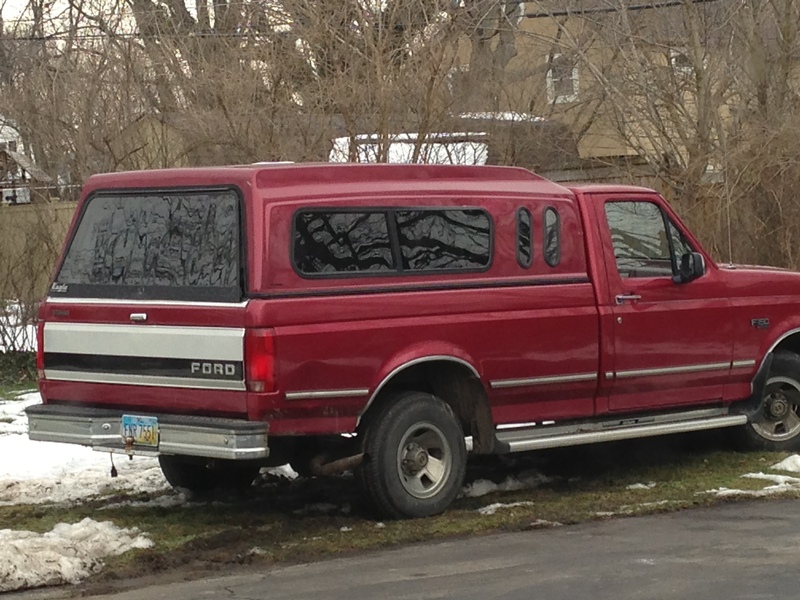 A gorgeous, RED, 1994 Ford F150. 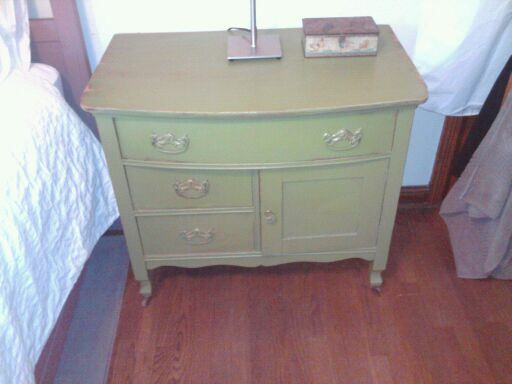 There were a few blemishes, but it was a perfect addition to Columbus Furniture Revival. 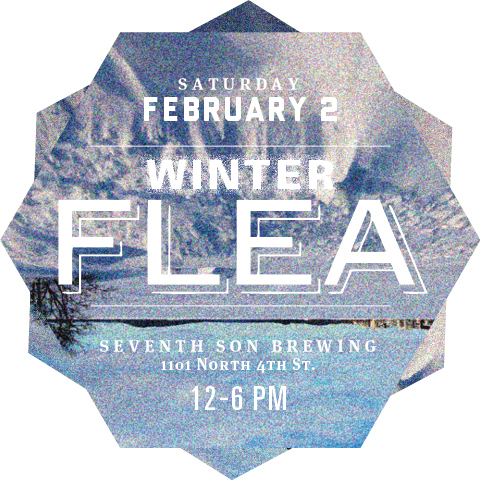 Don’t forget to mark your calenders for February 2nd to attend the Winter Flea! Mention BIG RED to me there and you can receive 10% off! An addition to the shop! Just a quick post this morning, as I have some work to finish up before I can show you! 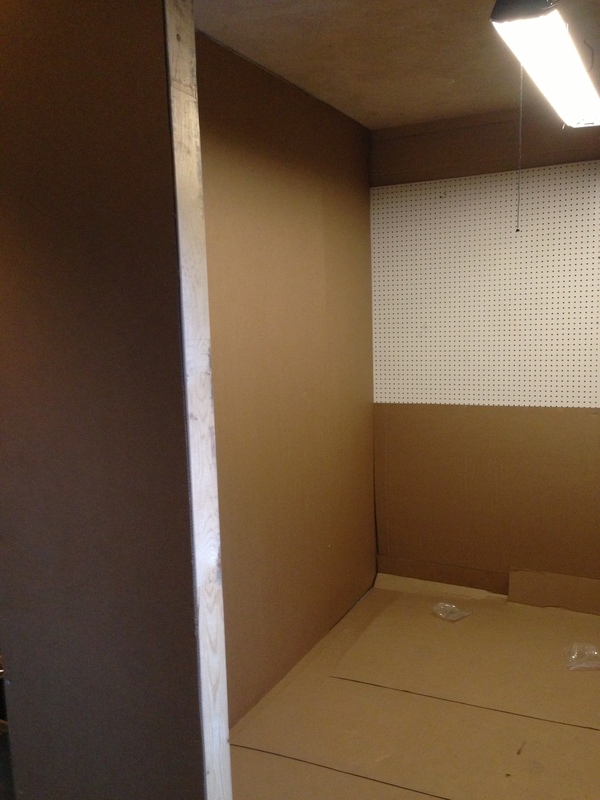 But in the meantime, I wanted to share with you my new and amazing PAINT BOOTH!! 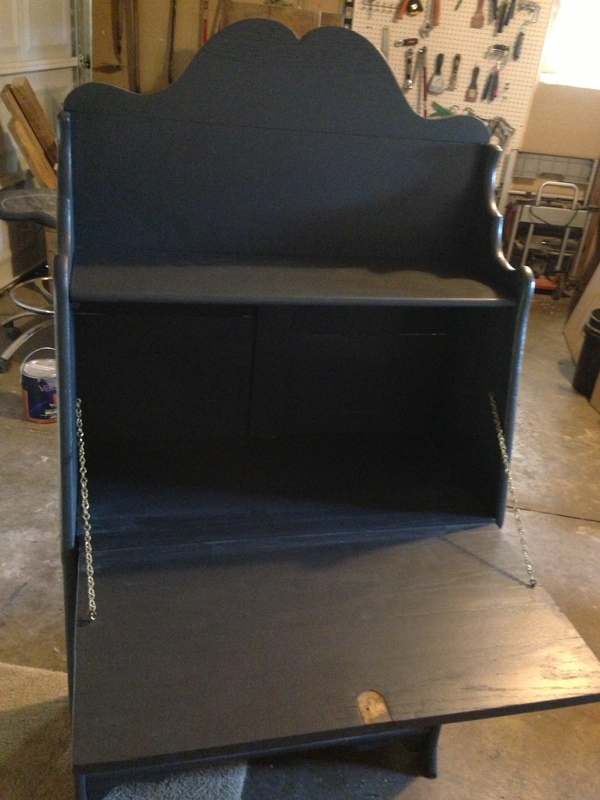 Carl and Garett built this for me so that I can paint pieces and sand at the same time. I could not love this space more. 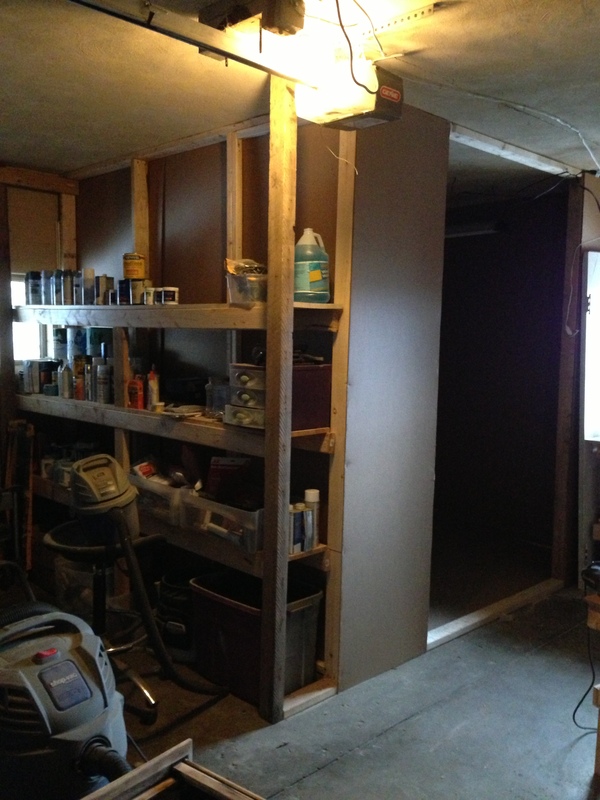 They put of corrugate for the walls (that is Carl and Garett’s business, so I have easy access to it). Of course the walls will be getting dirty so this way they are easily switched out. 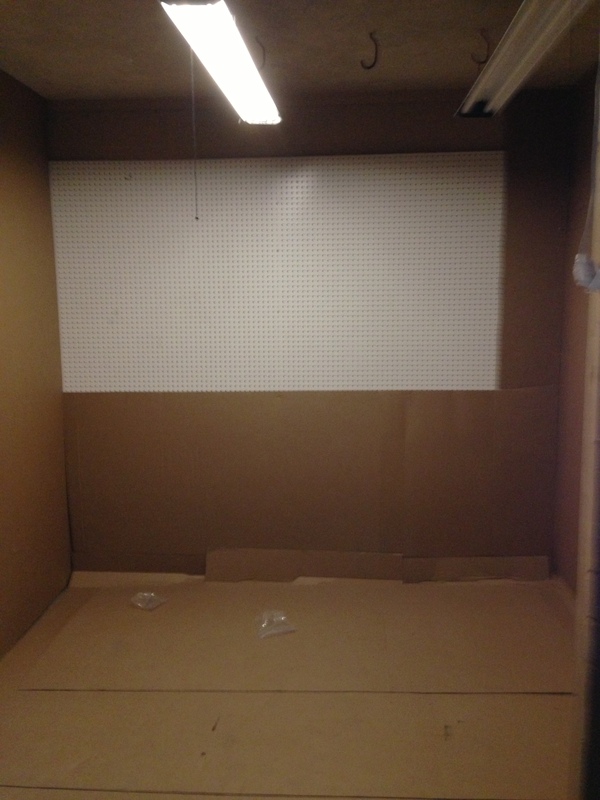 This space is so functional and makes my workshop complete! I also want to let you all know that I will be participating in the WINTER FLEA!!! 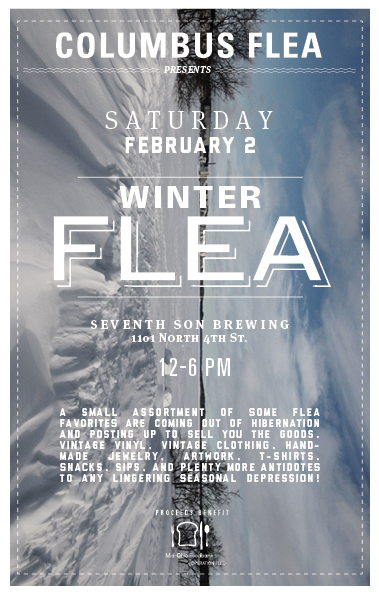 I am so excited to be a part of this event and I hope you all can make it February 2nd from 12-6 at seventh son brewery. I hope everyone is enjoying 2013 so far and we here at Columbus Furniture Revival wish you all a happy, healthy year. 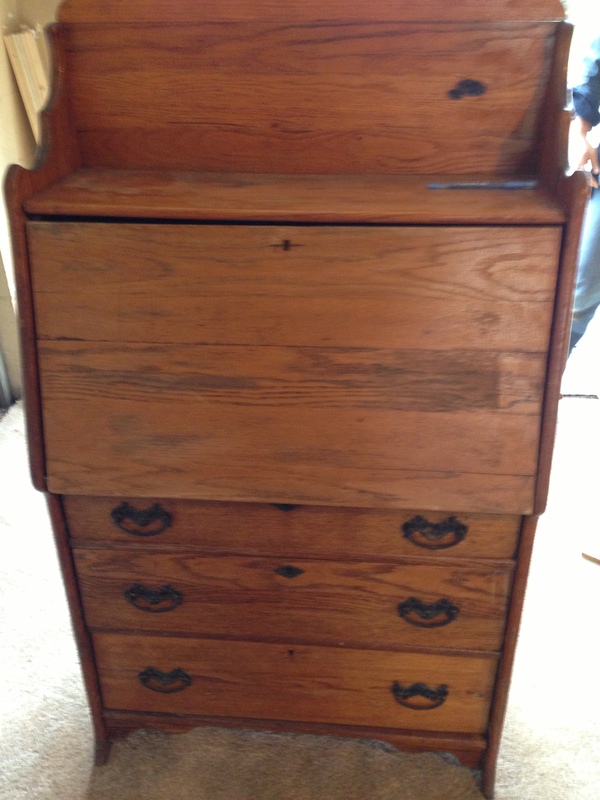 The first post of 2013 is about this old secretary desk brought to me in rough condition. It was in dire need of our help. 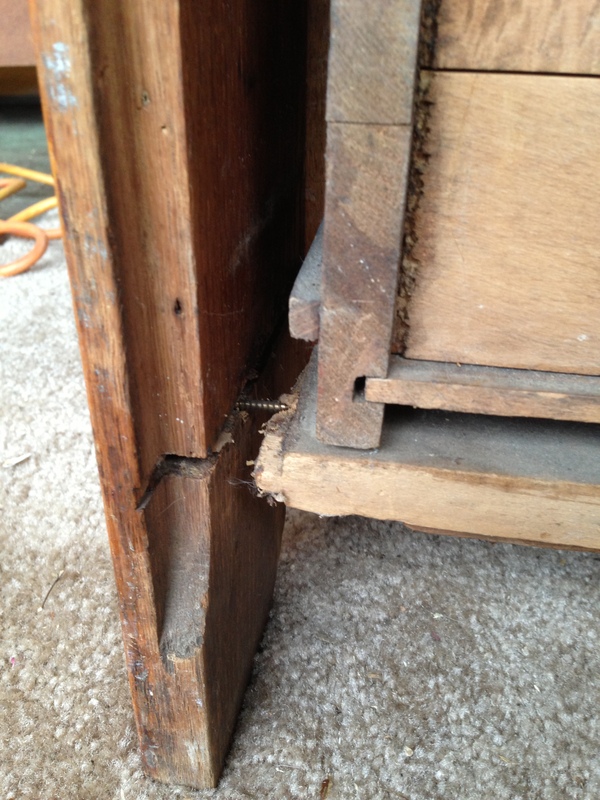 Wood was splitting, the piece was wobbly, slats of wood were unattached, and it was needing some refreshing. 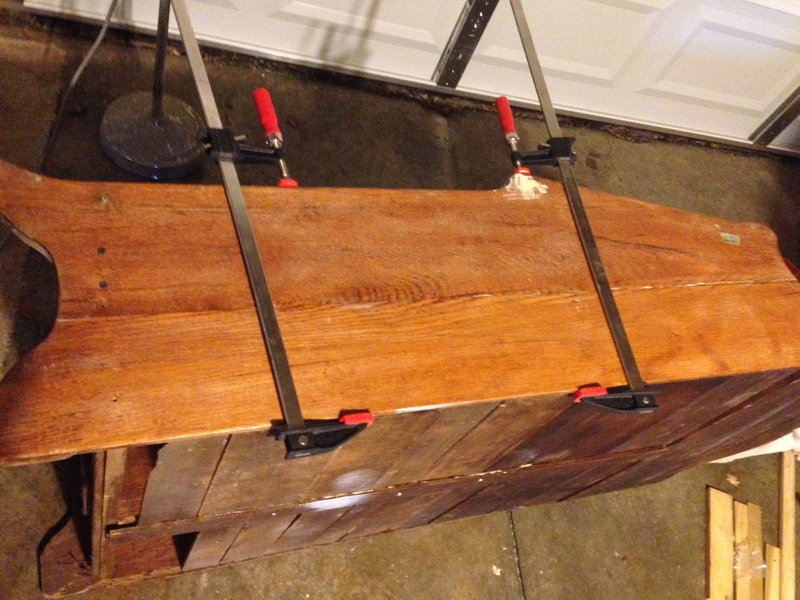 After much discussion, we would use some wood glue, clamps, wood filler and some nails to start. Man do I love these clamps! Carl got them for me and they worked like a charm. 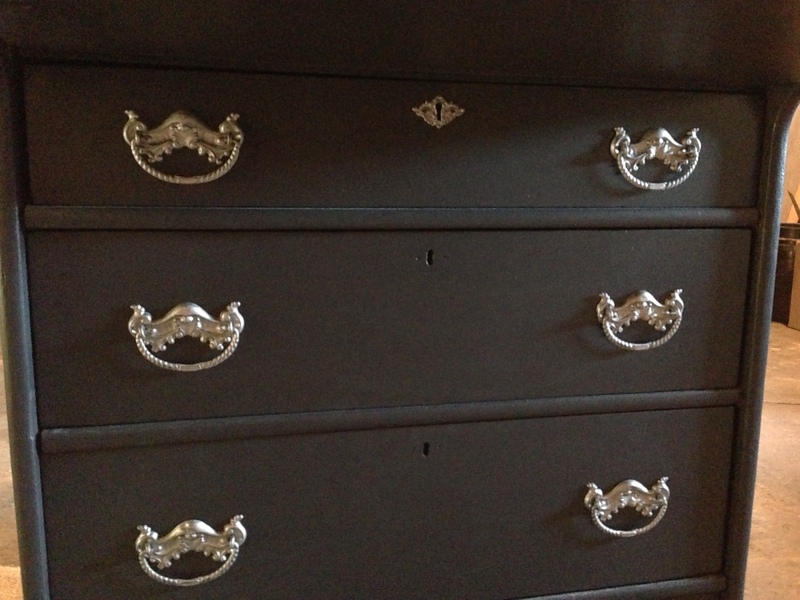 The owner of the piece wanted it painted and we decided to paint the hardware nickel to make it really pop. We are delivering this today and I can’t wait to see how they like it! !